A wave of corporate activity is changing the traditional role of business. The often true cliche that businesses are singlemindedly preoccupied with profits is being challenged by a new more sustainable approach to business. While the notion of responsible corporate conduct has been around for a while there is a new wave that goes far beyond the basic maxim "do no harm." This is about serving people, protecting the planet and turning a profit. Most corporations know that there are multiple layers of value associated with corporate responsibility and a growing number are taking this one step further. They believe that philanthropy is the future of business. Consumers are increasingly making informed buying decisions and corporations are already leveraging their vast supply chains to demand change. It logically follows that those who do more will be able to bank goodwill and gain a competitive advantage. Corporate leaders have openly challenged Trump on a range of issues from climate change to Charlottesville, and many CEOs had the courage to openly and publically withdraw their support for this administration. Business leaders are stepping forward in defense of sustainability and in opposition to Trump because he is a corporate risk factor. Moral bankruptcy and wanton corruption are defining features of this administration. The ongoing support for this administration from evangelical Christians makes corporate efforts more important than ever. Contrary to the narrative coming out of this administration sustainability is a boon and not a liability. Sustainability is now a mainstream phenomenon and organizations are thriving with it and risk dying without it. The growth of sustainability is being driven by studies which show it is correlated with strong ROI. However, returns are only part of a larger picture in which corporations are breaking with tradition and getting more involved. 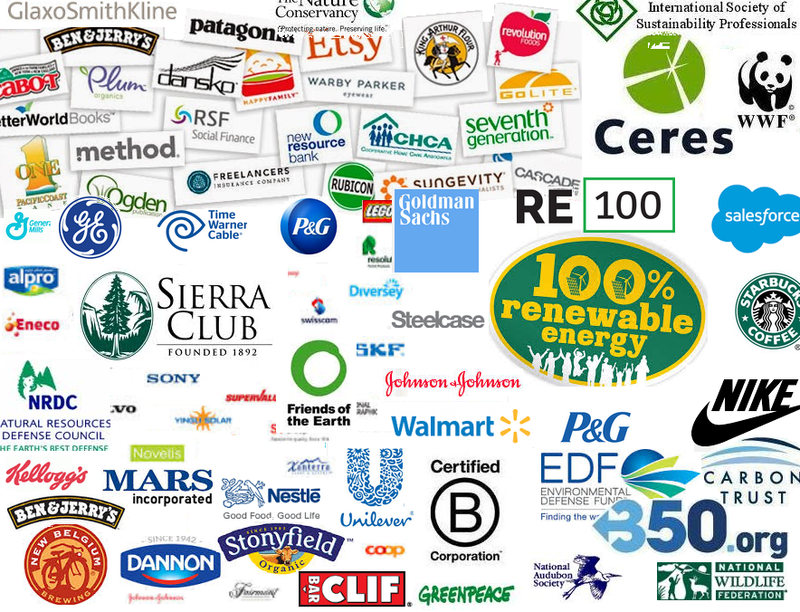 In many respects 2014 was a watershed year for the rise of corporate activism. Ahead of the UN Climate Summit and the now famous People's Climate March, corporations formed coalitions with grassroots organizations and governments. The business community joined investment groups and governments in making bold pledges for serious action that included everything from methane reduction to carbon pricing and forest preservation. We have seen laudable sustainability leadership from hunddreds of companies including Amadeus, HSBC, Mars, BMW, GlaxoSmithKline, Unilever, and Patagonia. 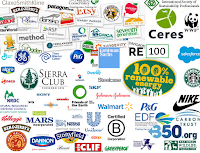 Coalitions like We Mean Business, Ceres, and B Corps and campaigns like the Sustainability Charter, the Ceres Declaration, Global Divest-Invest, RE100, and WWF Climate Savers Program, have helped corporations to coallesce around subjects with environmental and social importance. An organization called Benevity is helping corporations to see the merit of being exemplary corporate citizens. On their website Benevity describes their shared value mission as making Goodness matter more for companies, charities and communities. Benevity encourages companies to tap into the pasions of people who are craving deeper engagement. Benevity hosts an annual conference that focuses on actualizing goodness. The forum is called "Goodness Matters" and it is scheduled to take place in February 2018. There are a number of take-aways from the 2017 Benevity event. This conference addressed powerful approaches to change, including using behavior science to create a purpose driven culture and employee education related to business practices that align with the sustainable development goals (SDGs). Another theme that was addressed at Goodness Matters 2017 event is collaboration between teams like those involved with giving, volunteering, grantmaking, sustainability, health and wellness. The event also discussed ways of increasing participation by encouraging members of an organization to help promote it. People get involved because they are asked to do so. This boils down to ongoing internal communications. Never has the need for corporate leadership been more necessary than today. Sustainability is not impervious to Trump and we cannot deny the fact that his administration and the Republican party are inflicting great harm to both sustainable business and the fabric of the nation. Businesses have the power to change the world and an ever growing number of Sustainability focused businesses are leading the way forward. Business leaderships cannot avoid making a choice and they need to decide side they are on. In 2017 we saw a growing number of corporations take leadership positions and respond to some of the most pressing issues of our time. This gives us reason to hope that in 2018 we will see an even larger number of corporations embrace the notion that "Goodness Matters".